What will your guests admire more, your Amish Small Sliding Door Curio Cabinet or the collectibles and keepsakes it protects inside? Order this as shown or in one of our many wood and finish options. 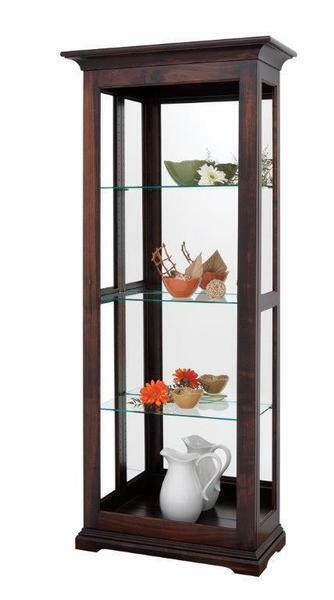 This Amish handcrafted curio cabinet is shown in brown maple wood with our Asbury stain. Custom curio cabinets are also available.